Nothing beats a baked cheddar frittata. This tasty and protein-rich dish is chocked full of flavor, and it’s also rather easy to make. This baked frittata recipe makes six servings, and it’s a great dish to cook if you’re planning a fun family lunch or a large gathering. 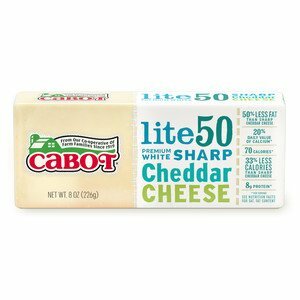 It’s packed with protein rich eggs, healthy veggies and lots of tasty Cabot cheddar. After trying this recipe, please make sure to rate and review it. We’d love your feedback! 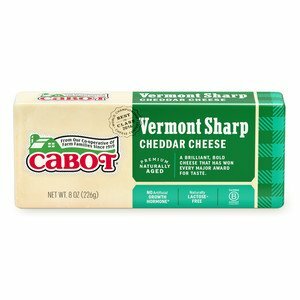 To assemble this cheddar frittata you’ll need the following ingredients: eight large eggs, milk, salt, ground black pepper, cooked veggies (you can also substitute with cooked potatoes or even cooked pasta) and eight ounces of Cabot Sharp Cheddar (you can also substitute that particular cheese for Cabot Extra Sharp Cheddar, Cabot Pepper Jack, or Cabot Sharp Lite50 Cheddar). Start by preheating your oven to 425°F then, combine your eggs, salt and pepper together. Add your vegetables into a baking dish that you’ve brushed with oil, and then pour your eggs on top of that. Bake everything for 20 to 25 minutes. You can serve it immediately, or you let it cool to room temperature. It’s up to you! 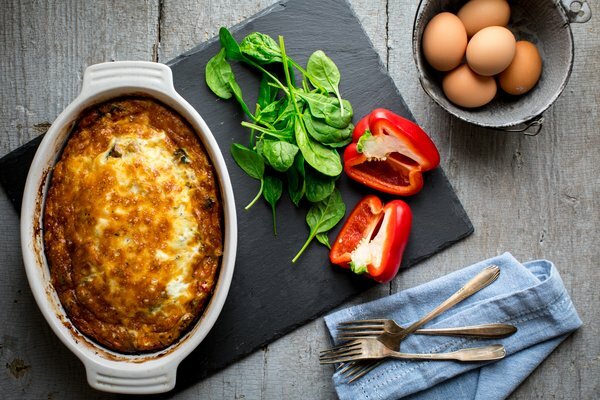 If you like this dish, you’ll love our vegetable frittata recipe! Made with our very own Alpine Cheddar, it’s the perfect combination of fluffy eggs and cheesy goodness. 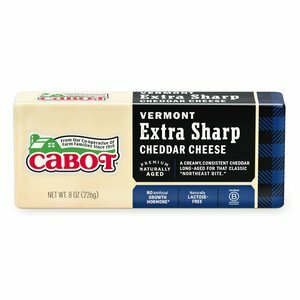 Cabot is a cooperative of over 800 farm families, so we understand just how important it is to only serve the best to your loved ones at mealtime. We’re positive that you and your family will love this cheddar frittata, but we’d love to hear your thoughts so please be sure to leave a review! PLACE rack in upper third of oven and preheat oven to 425°F. Brush 7-by-11-inch or similar 2-quart baking dish with olive oil or coat with nonstick cooking spray. WHISK eggs, milk, salt and pepper until combined and frothy, in bowl. DISTRIBUTE vegetable mixture evenly in dish. Scatter most of cheese on top, leaving a few tablespoons aside. Pour egg mixture evenly over solids, using a fork to make sure it is mixed in. BAKE frittata for 20 to 25 minutes or until puffed and not runny in center (poke small knife in center to check). REMOVE from oven and sprinkle with reserved cheese. 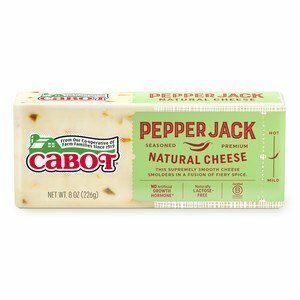 Cut into pieces and serve immediately, or let cool to room temperature. Very easy and came out perfect the first time. Delish! I made this frittata for my husband and me, halving the ingredients, in a 1 qt. dish. So easy, and just delicious, and a nice presentation. Used chopped broccoli and diced potatoes for the veggies. I plan to make it for my son and his vegetarian gal when they come over. All ingredients can be prepped ahead of time, and then whip the eggs and assemble, pop into the oven, and voila. Add crusty bread and a salad, and you're done.